The Lupoled 560 DMX are very lightweight and compact LED panels (just 1.3 kg), easily transportable with their proprietary padded bags; they can be used in every shooting situation thanks to the possibility of operating with batteries or on the mains (universal 90 V — 240 V AC; 14.8 V DC). Thanks to the True Color technology Lupoled panels feature a perfectly balanced light output with CRI (Colour Rendering Index) higher than 95 and superb 98 TLCI (Television Lighting Consistency Index). 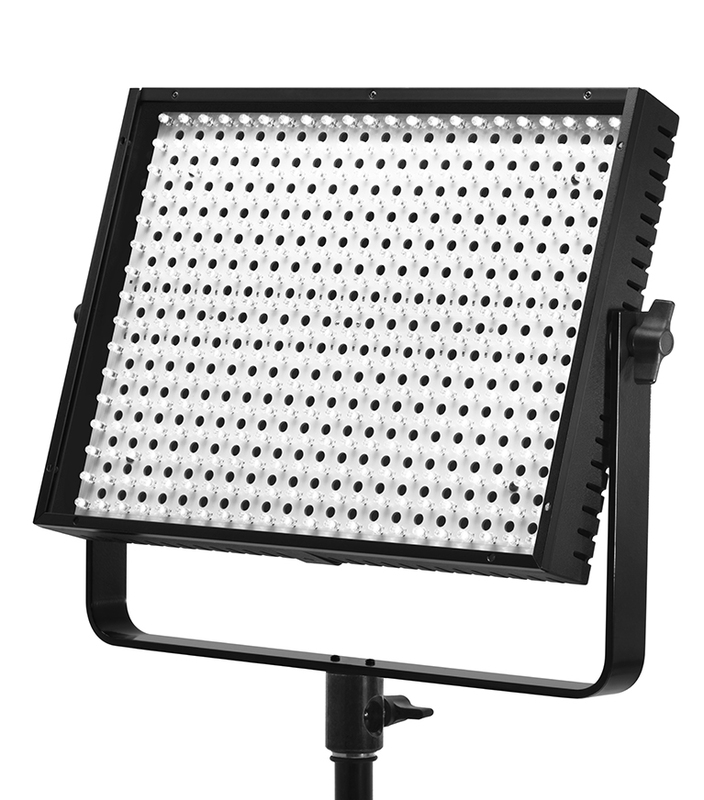 The quality of light that the models of the Lupoled range provide guarantees professional results and avoiding time consuming post-production operations necessary with lower quality LED panels. Lupoled panels, thanks to their many advantages (lightweight, portability, mains or battery operation, high chromatic accuracy), are the ideal solution for all types of photographic and video shooting: ceremony, portraiture, fashion, decor and still life. They are also ideal for use in TV studios of small and medium sizes thanks to the compact size, perfect where there are low ceilings. The Lupoled 560 DMX panels, like all Lupo LED panels, are dimmed continuously from 0% to 100% without varying in colour temperature. The brightness adjustment of the LED panels in the Lupoled range is simple and straightforward. All controls are located at the back of the panel and are designed to make your shots and video clips easier. The digital display allows you to see the brightness level at which the LED panel is set. The colour temperature remains constant and accurate during the variation in intensity. The settings of the DMX interface are also clear and easy to use, allowing a quick set up of the fixtures in your TV studio. Thanks to the exclusive True Color Technology, the Lupoled panels have a perfect colour performance and do not produce casts. This fundamental and exclusive feature enables to avoid post-production corrections and allows a correct mix with other light sources (such as, for example, sunlight). The dedicated long life battery allows for a full power operation of about 3 hours. The weight of the battery is only 800 g and can be carried (along with chargers and accessories) in the same practical bag that you use for the Lupoled. 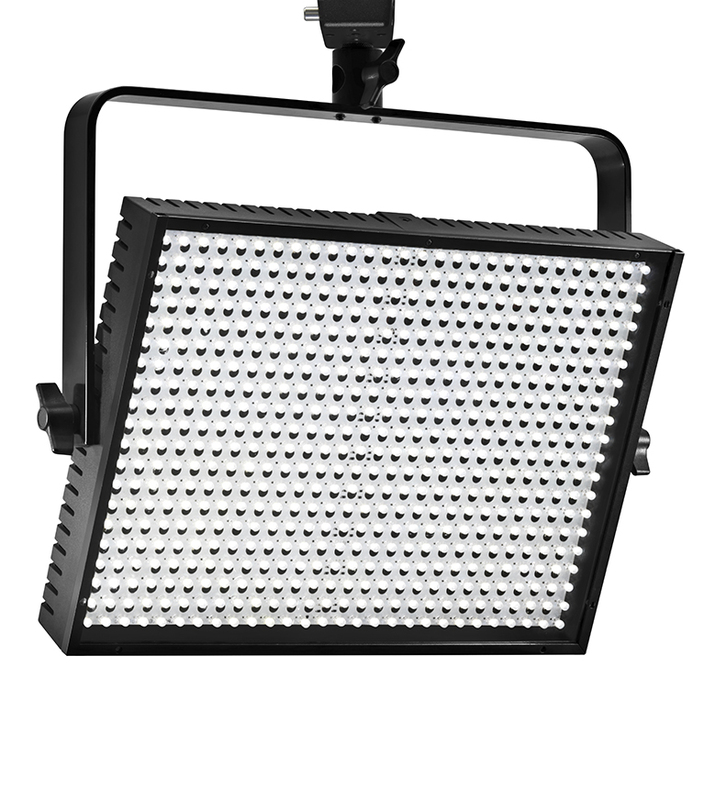 The Lupoled 560 DMX is the LED panel that will make your professional shooting much easier. 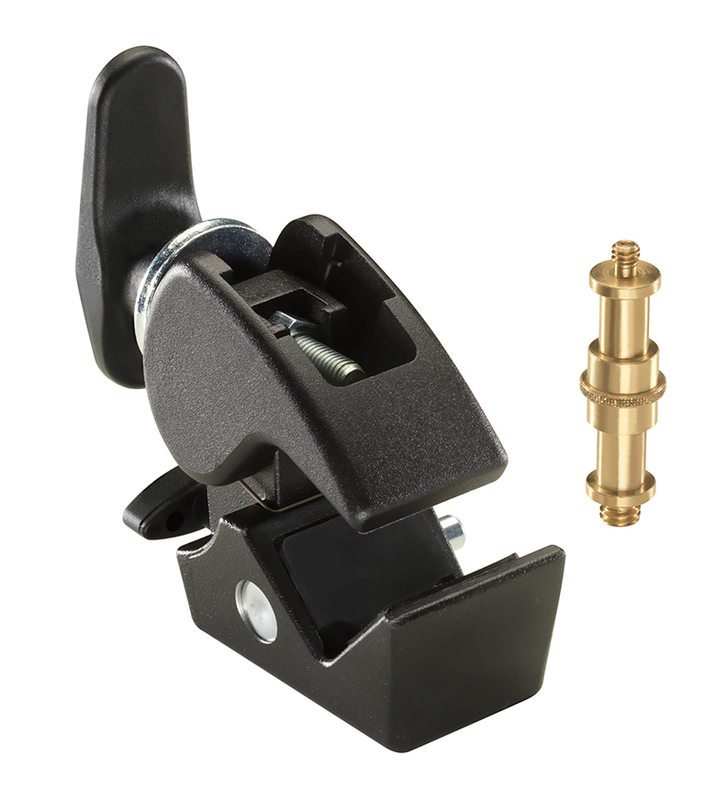 The body made of carbon fibre, reinforced technopolymer, makes it robust and suitable for an intensive use. The Lupoled 560 DMX and all Lupo LED panels, LED Fresnels and accessories have been developed to provide professional performances and they are manufactured only with highest quality components that make Lupo products reliable in time. 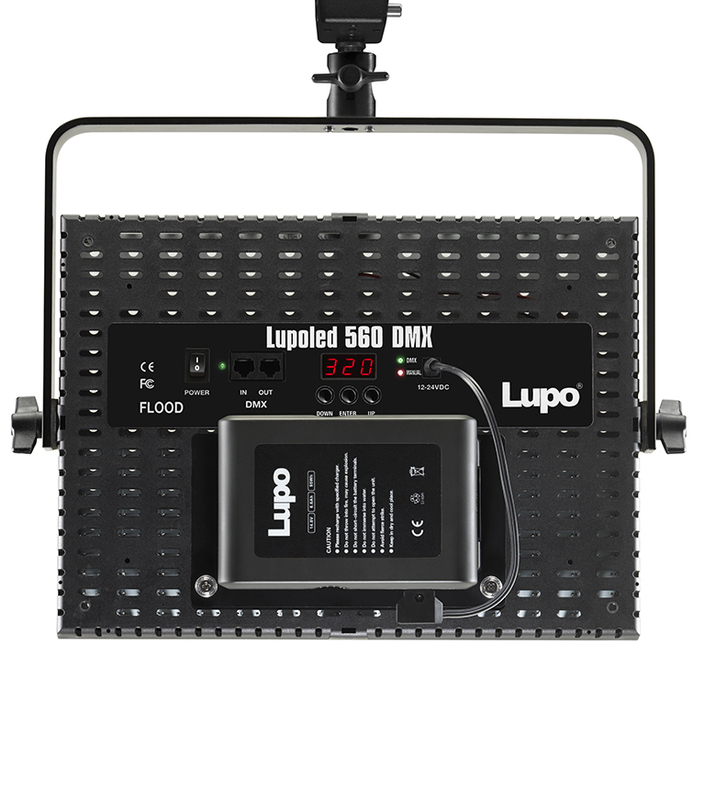 Put the Lupoled 560 DMX to the test! You will be more than satisfied with it. 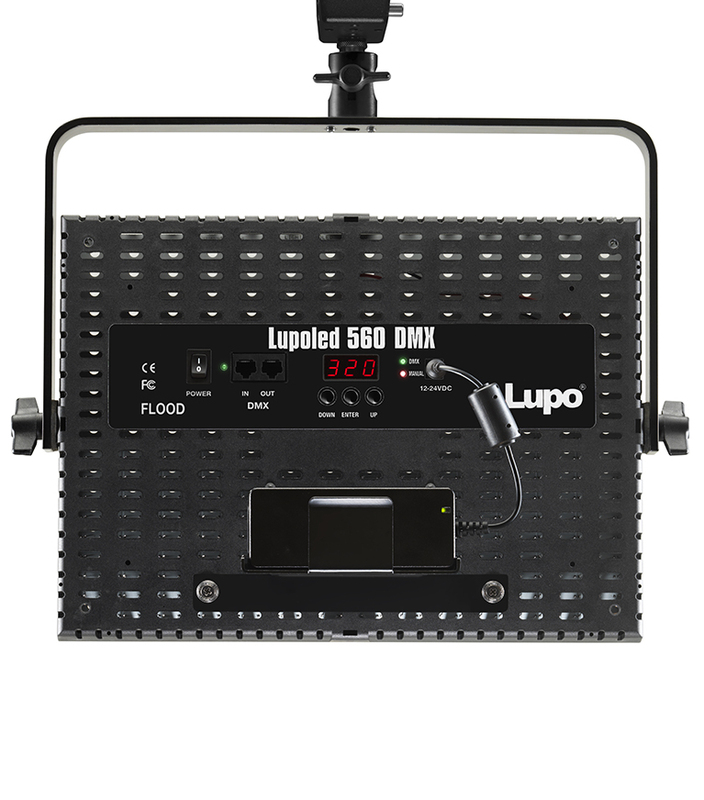 The Lupoled 560 DMX panels are equipped with 560 LEDs that guarantee a perfect colour performance and no casts.